Valentine’s Day is quickly becoming one of our favorite holidays! Cupid’s holiday is all about sharing the love through cards, flowers, and candy (which is what we’re really excited about, honestly). This year, one of our clients wanted a twist on the traditional holiday. 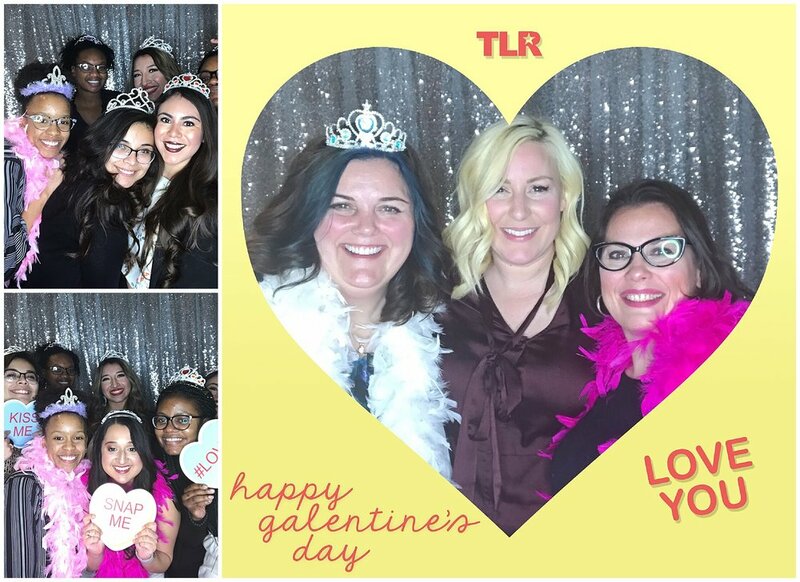 Instead of celebrating Valentine’s Day, they channeled their inner Leslie Knope to celebrate Galentine’s Day in a big way! See here for reference. 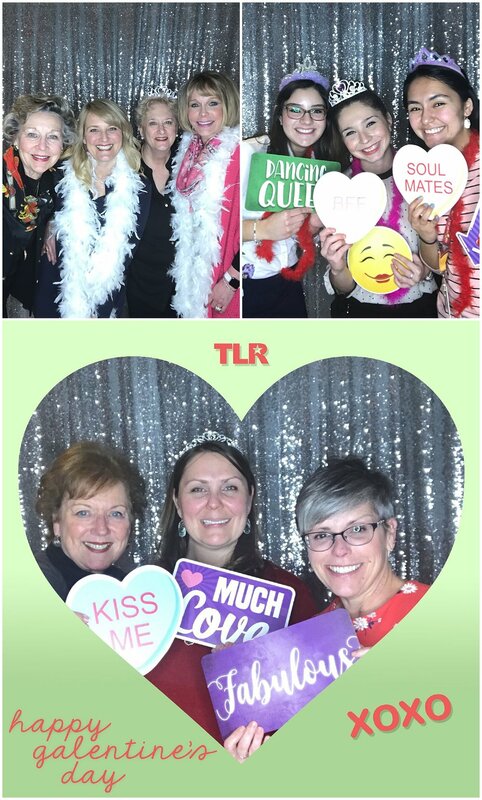 We had an opportunity to document TLR’s Galentine’s Day Event at the Four Seasons. The ladies were pampered with massages, makeup touch ups and hair styling stations. They were so excited to document their new look! 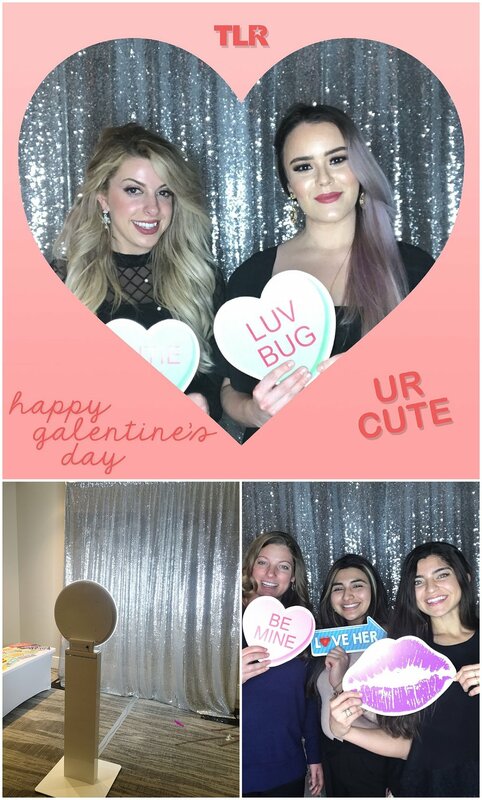 Instead of using one overlay for our photos as we usually do, we created six overlays to give guests the option of transforming their image into different conversation candy hearts, and it really takes us back to our elementary days of homemade Valentine’s boxes and picking the perfect card for our best friends. We doubled down on the conversation heart theme and turned the nostalgic candy hearts into custom props to make it a unique experience for our clients. The iconic duo of overlay and props had us swooning for more events like this! Whoever you’re sharing the holiday with, we hope it’s filled with lots of love!